Rung to commemorate the first anniversary of the terrorist attack on London Bridge. First submitted Saturday, 2 June 2018 at 22:22:58 by John N Hughes-D'Aeth. 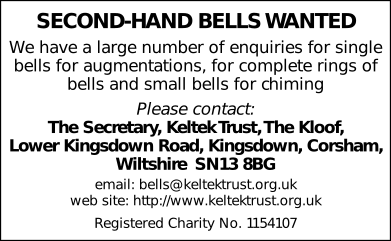 Sent for publication in The Ringing World on Saturday, 2 June 2018 at 22:23:27, and printed in issue 5590, page 573. This performance has been viewed 1133 times.